Point: No scene in the history of cinema has ever had as much sexual tension as Maria and Captain Von Trapp dancing the Ländler in 1965's The Sound of Music. Counterpoint: Yes, that first point is correct. 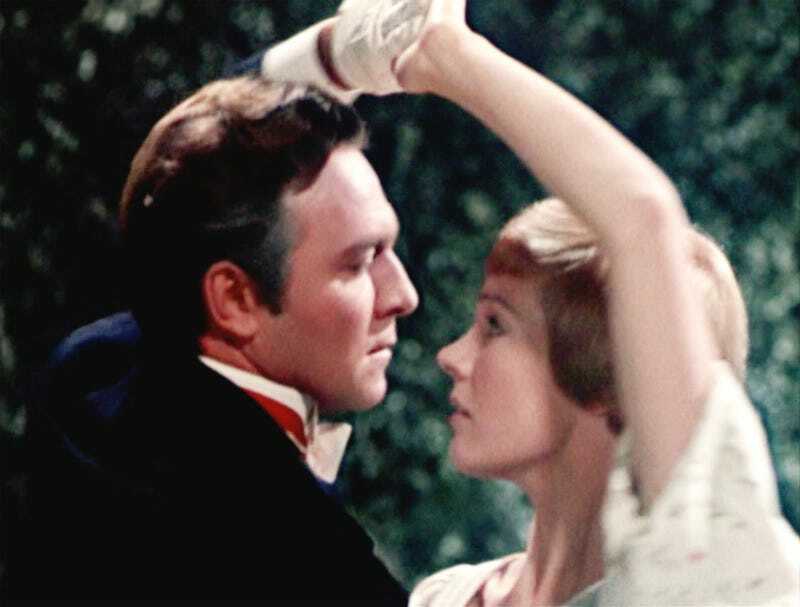 So will Sound of Music stars Julie Andrews and Christopher Plummer be able to recreate the drama of that forbidden folk dance when they reunite at the TCM Classic Film Festival? That's right, I buried the lede—Julie Andrews and Christopher Plummer are reuniting! On stage! In person! At a gala we can't afford to go to! The stars of the 1965 film will be on hand for the movie-musical's 50th anniversary gala screening on March 26, emceed by Turner Classic Movies host Robert Osborne at the TCL Chinese Theater IMAX. The restored film will be presented in collaboration with Twentieth Century Fox, which will release an anniversary Blu-ray edition on March 10.